The survey has been reopened and you are invited to take it here. 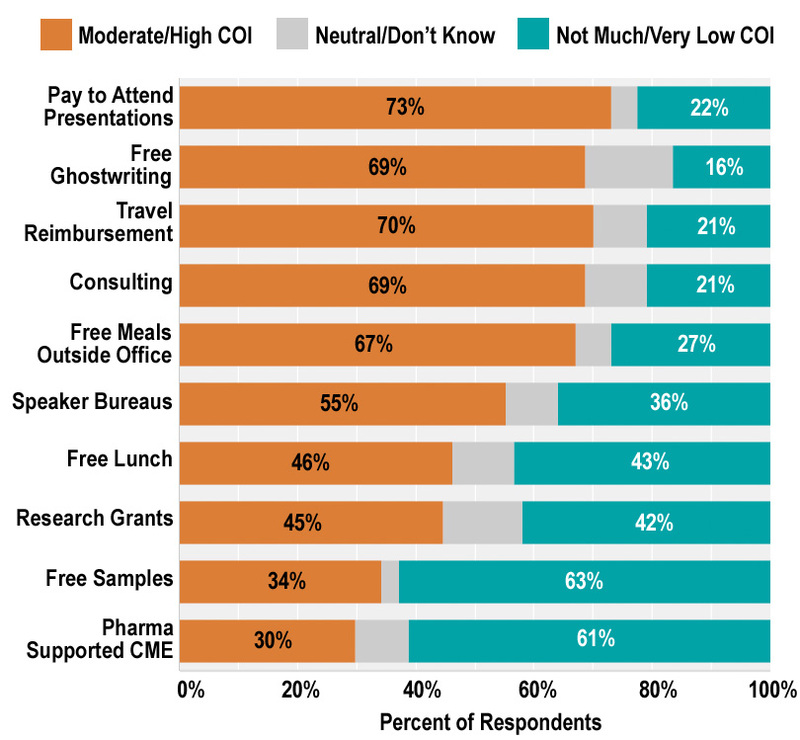 After taking the survey, you will be able to see the latest results and also get a discount code for a free download of the PMN article: Free Gifts to Physicians: What’s the Big Deal?. More recently, researchers found that physicians who attended a medical school with a policy that prohibited gifts from drug companies were less likely to prescribe two of three newly marketed psychotropic drugs once they were in practice (see “Med School Pharma Gift Ban Has Lasting Impact“). The overall results from 2006 are summarized in the chart below. The survey has been reopened and you are invited to take it here. Free Gifts to Physicians: What’s the Big Deal?.